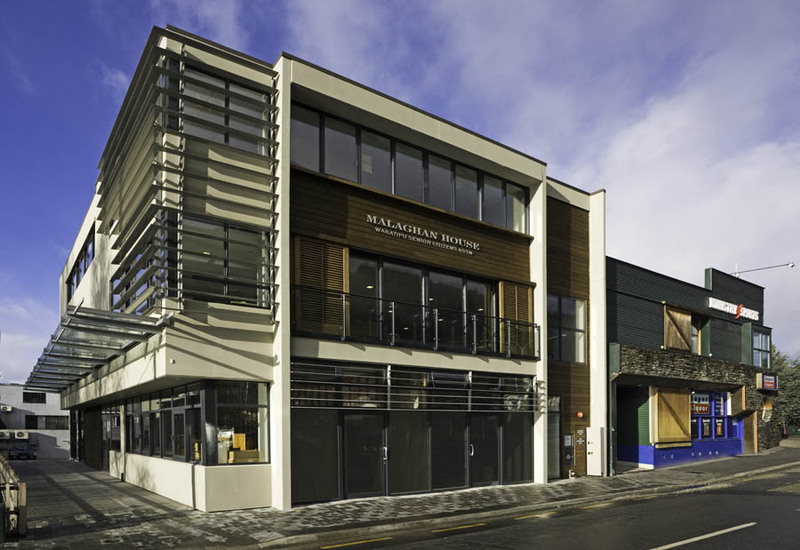 This office building in central Queenstown was designed to house retail on the ground floor, the offices, and clubrooms for the Wakatipu Senior Citizens on the first floor, and office space on the top floor. The site was challenging, with a stream flowing underneath the site and the requirement to allow connection to adjacent buildings later. 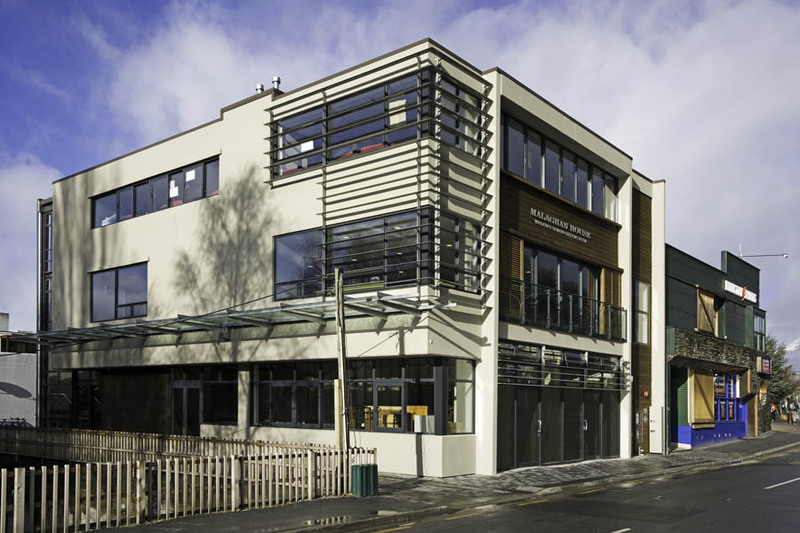 The high ceilings, external decks, flexible shading, great views and careful modelling of the facade to comply with the Queenstown Town Centre Design Guidelines have combined to give a building that is a modern, attractive, comfortable addition to the Queenstown CPD. 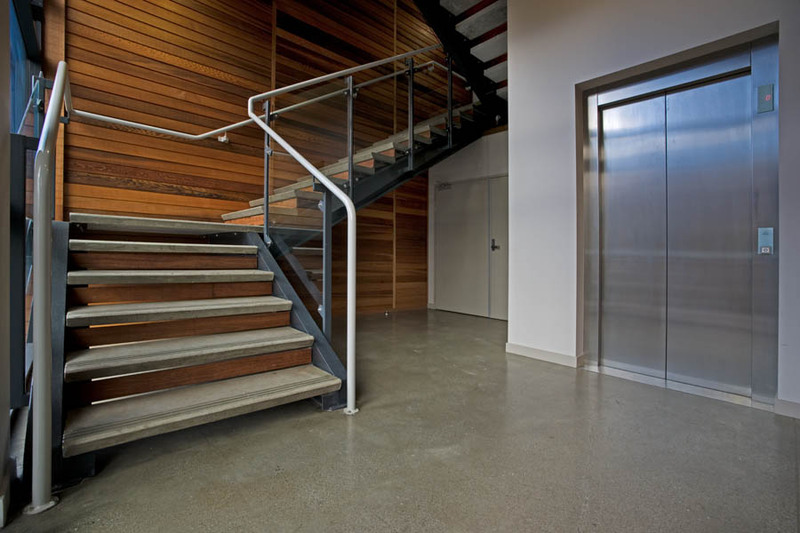 The building was designed to comply with Green Star Rating requirements, giving good insulation, natural daylighting and opening windows, lower energy use, shower and bike facilities.